Close by are various temples. one to the Egyptian goddess Isis, as well as temples to Juno, Jupiter, and Minerva. 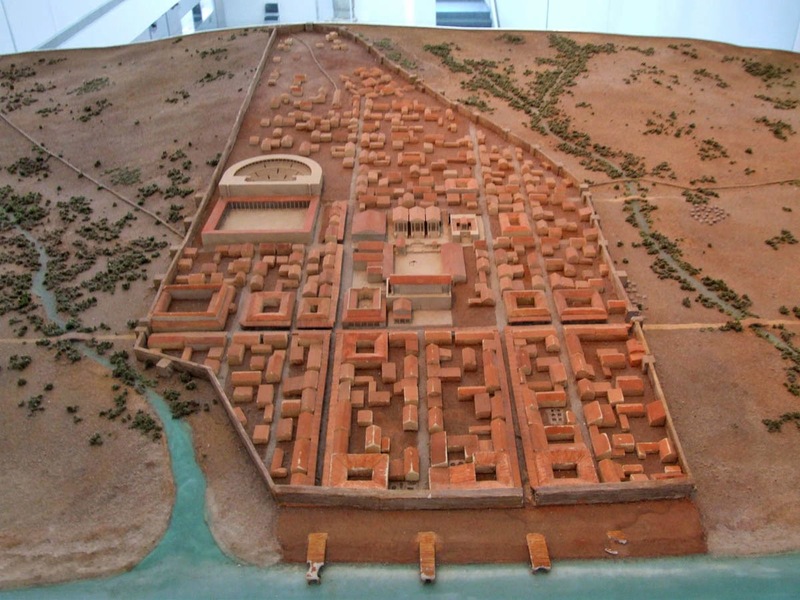 Each god has its own individual temple, instead of one temple dedicated to them collectively, although they shared an altar; the only other Roman town believed to have a similar arrangement is Sbeitla in Tunisia. 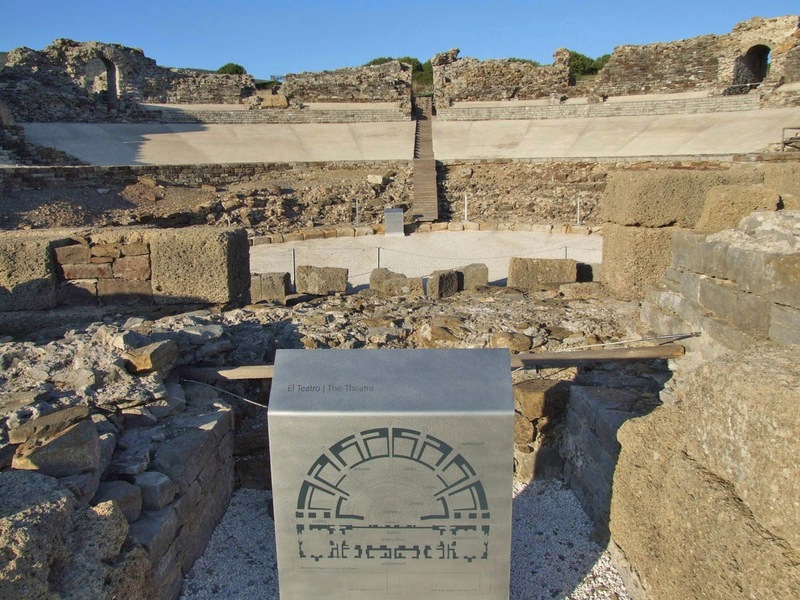 Either at the beginning or end of your tour, the museum is a worthy browse, containing many well preserved artifacts and plenty of information about the site. You can see a mock-up of how the city would probably have looked 2,000 years ago. 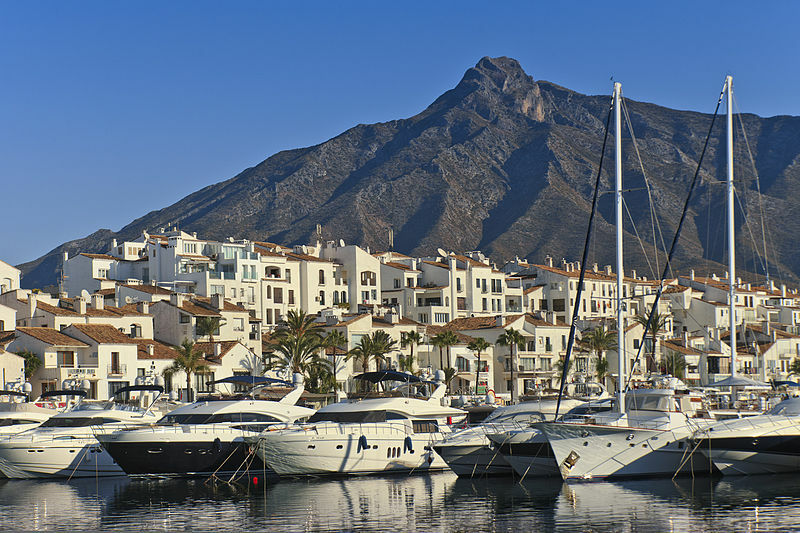 One of the Mediterranean's most representative tourist venues and a top favorite for travelers, Marbella was once a small white fishing village. It is now one of the most cosmopolitan beach resorts on the Costa del Sol in southern Spain. 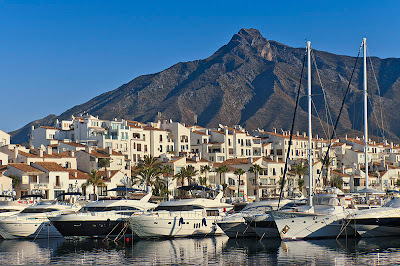 Digital Journal reported recently that Marbella (pronounced "mar-bay-ya") had been announced the second-most expensive beach destination in Spain. The city is also the second-largest in the area. 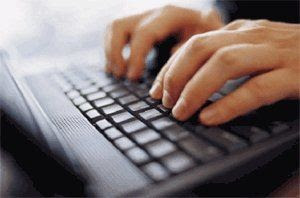 For those who need their Internet while travelling, a Spanish hotel chain is offering a brand new free service, allowing guests to access the Internet not only in the hotel, but also while out and about in Spain. The new service was started on Monday and is being offered by Room Mate hotels under the title "WiMate". According to the company, it lets people access the internet wherever there is coverage 24 hours a day. Anyone booking online can reserve this service, and by hooking up to a small mobile router, guests sat 11 of the Room Mate hotels in Spain can access the Internet, using six different devices including laptops and iPads. A spokesman for the company said that guests can even use the gadget when travelling between participating hotels. So, if you stay at a Room Mate hotel in Toledo, and then travel to Barcelona, staying in a Room Mate hotel there, the device travels with you, for the upmost convenience. "With this service we are offering our customers an essential service and a new way of travelling," he added. At present the service is available at Room Mates Hotels in Toledo and Barcelona, but the company does plan to roll out its WiMate services in its other Spanish hotels at a later date. Sunday's Google Doodle celebrates the millennium anniversary of the birth of the ancient Kingdom of Granada in southern Spain. The logo shows a drawing of the town, with the imposing Alhambra in the background. Google's latest contribution is to celebrate the creation of the Kingdom of Granada, which happened one thousand years ago. The Andalucian city will celebrate its anniversary on Thursday, with initiatives such as street parades and audiovisual concerts, reflecting the emblematic city. Events will also be held in other areas of the surrounding province. 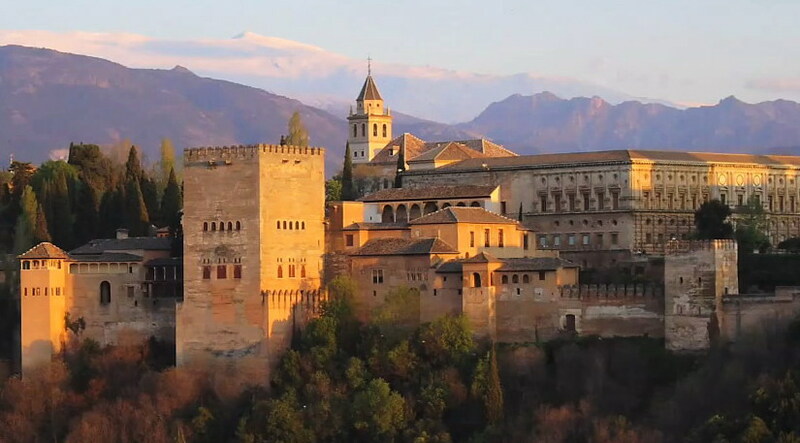 The Google Doodle on Sunday, June 16 illustrates the majesty of the Alhambra and the Albayzín (a historic district of Granada), giving an interpretation of the intricate Moorish streets to recreate the famous letters of the search engine. It turns out the mayor of Granada, José Torres Hurtado, introduced a proposal a year ago to Google that the search engine should celebrate with a doodle relating to the Granada Foundation and its important anniversary in 2013. The Alhambra is a palace and fortress complex located in Granada, Andalusia, Spain. It was originally constructed as a fortress in 889 and later converted into a royal palace in 1333 by Yusuf I, Sultan of Granada. The Alhambra's Islamic palaces were built for the last Muslim emirs in Spain and its court of the Nasrid dynasty. After the Reconquista by the Reyes Católicos ("Catholic Monarchs") in 1492, some portions were used by Christian rulers. The Palace of Charles V, built by Charles V, Holy Roman Emperor in 1527, was inserted in the Alhambra within the Nasrid fortifications. After being allowed to fall into disrepair for centuries, the Alhambra was rediscovered in the 19th century by European scholars and travelers, with restorations commencing. It is now one of Spain's major tourist attractions, exhibiting the country's most significant and well known Arab-Islamic architecture, together with 16th-century and later Christian building and garden interventions. The Alhambra is a UNESCO World Heritage Site, and the inspiration for many songs and stories. The city of Granada and its accompanying Alhambra complex are essential viewing on any trip to southern Spain. In a UK tabloid story, we can read about a British couple who were unfairly imprisoned and fined while on holiday, for refusing to pay a restaurant bill. In the Spanish media, we can read about what actually happened? 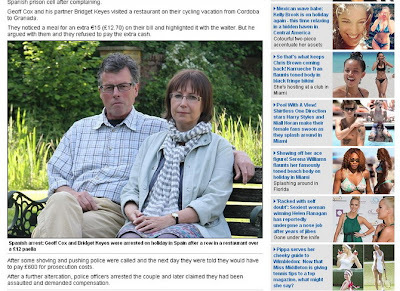 What the Daily Mail is saying is that Geoff Cox and Bridget Keys were "mistakenly charged" €15 ($20) for an extra portion of paella at a restaurant in Granada in southern Spain, which they visited on their recent cycling holiday. They apparently told reporters that when they offered to pay €105 instead of €120, the waiter "went off like a firecracker." The UK's Daily Mail newspaper ran a feature on the paella incident in which a British couple told of their arrest, imprisonment and fine as a result of an allegedly erroneous restaurant bill. Police were then called and the couple were apparently taken straight to jail, then stripped of their shoes and left without food and water for the night. 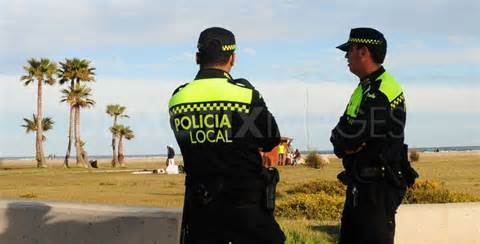 However, the Granada daily newspaper, Ideal, decided to contact the local police and were given a very different version of the events. Ideal reported in their article titled "The paella of discord", that police spokesman, Mariano Valbuena told them, "Our services were required in a restaurant because two people didn't want to pay part of their bill." "The owner said that he wanted to prosecute the couple so we needed to identify them." When asked for their identity papers, the British couple told the police that their documentation was in the hotel. Police ordered them to return to their room and collect their passports, in the company of an officer. This is apparently when the problems really started. Reportedly Cox was said by police to have "lashed out at one officer", while his partner, Ms Keys, kicked another in an incident that was described by the Daily Mail as "some shoving and pushing." It was at this point (around 2 am) that the couple were arrested for attacking law enforcement officers and taken to the police station. Cox and Keyes insist in the Daily Mail that they first found out about the assault charges when they were given access to a translator and a lawyer the morning after their arrest. Then the Granada newspaper contacted the restaurant owner himself, who eventually decided not to prosecute the couple, but explained the whole story. 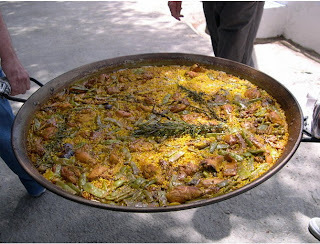 "They asked for a paella but, as it says on the menu, it's for a minimum of two people, €15 per plate, so €30 in total." 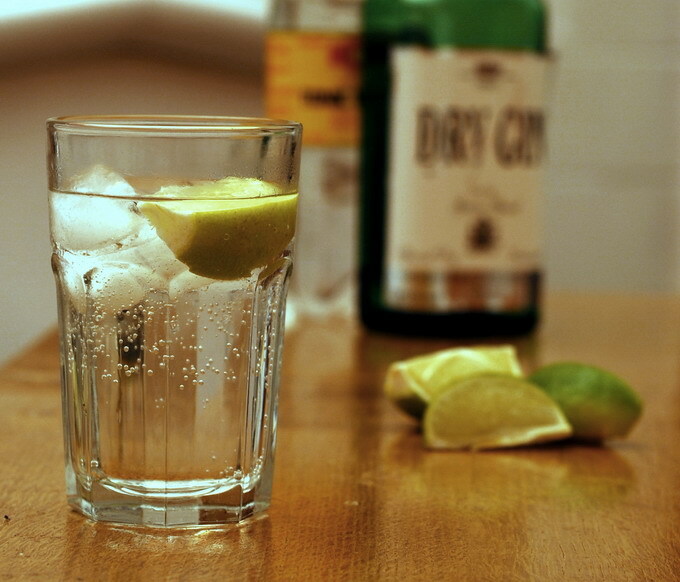 "They had a lot to drink then they went to leave without paying." The whole thing led to a court hearing on May 20, where the couple avoided custodial sentences, but were ordered to pay €78 in fines plus damages of €250. In the UK version, they were fined despite the charges being dropped, but in the Spanish version, charges were dropped because the couple agreed to pay the fine. While the restaurant owner mentioned that the couple had had a lot to drink, the Mail made no mention of their alcohol consumption. The tabloid quoted Cox as saying, "I'm an ordinary, middle class, respectable citizen who has never had any trouble with the police". He apparently added: "It's a bloody outrage." According to Cox, who is in his late 50s and from Newdigate in Surrey, the total cost of the incident, including travel and legal expenses, is in excess of €700 and the couple are now demanding compensation for this amount, for the inconvenience caused. "That messed up our holiday plans as we were off to Seville," said Cox. 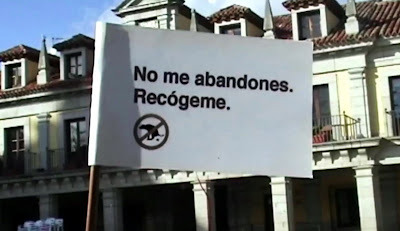 "We came back to Granada at a cost of €200 to have our day in court." 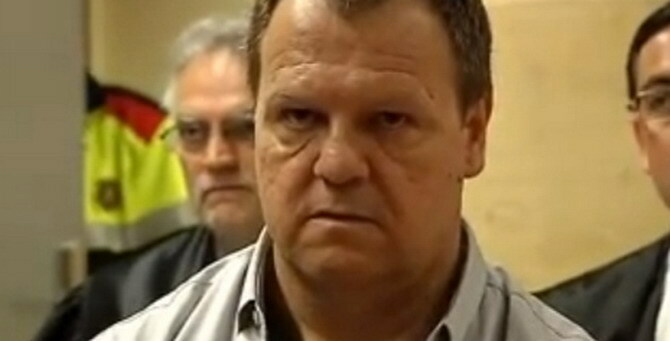 Joan Vila Dilme, a security guard at a Spanish retirement home, has been found guilty of the killing of eleven elderly residents, which, according to him, was to "end their suffering." Prosecutors are looking at a 194-year sentence for his crimes. Spain is a pretty safe country to visit, with only one in every thousand tourists likely to be affected by petty crime. However, the country is deploying over 29,000 police officers to ensure tourists' safety and security during July and August. 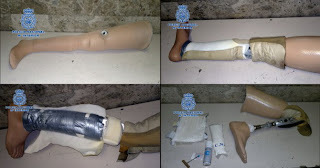 Narcotics agents have been busy in Spain, as a passenger from Panama was caught at Madrid's Barajas Airport, attempting to smuggle 750 g of cocaine into the country in his prosthetic leg. On another flight from Peru, 11 kgs of the drug were captured. While Turkey insists that all is well and safe in that country for tourists this summer, people are changing their vacation plans and thinking of heading to Spain instead. 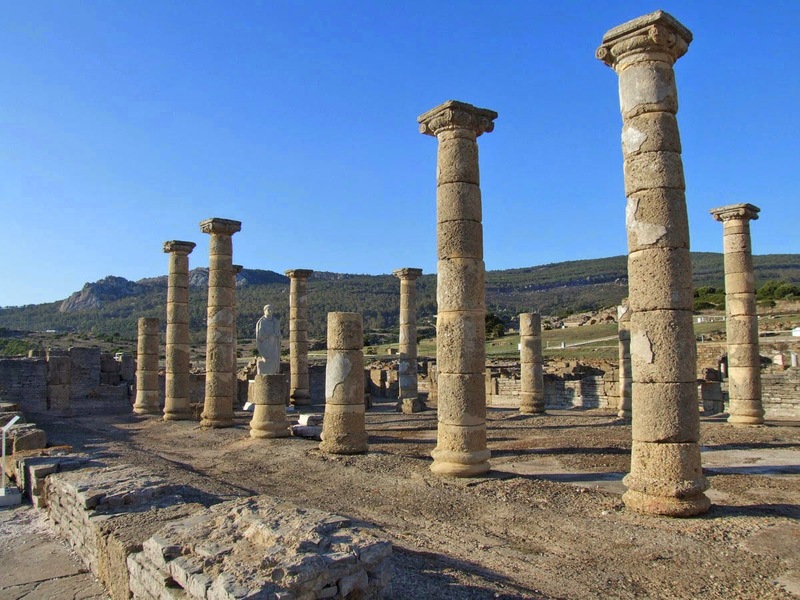 The Ministry of Culture and Tourism of Turkey is trying to reassure tourists that Turkey is a "safe" country to visit, according to the British newspaper Daily Mail. All sounds well and good, but with the ongoing protests in Turkey, where police are attacking demonstrators with tear gas and water cannons in the streets, it is all rather off-putting to tourists looking for a safe and relaxing summer vacation destination. 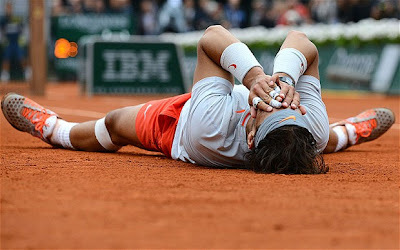 On Monday, after reading a fake message from someone who claimed to be the British journalist Piers Morgan, Spanish tennis star Rafael (Rafa) Nadal tweeted news of the death of former South African president Nelson Mandela. As the people of South Africa pray for the health of Nelson Mandela, who is back in hospital in intensive care suffering from a recurring lung condition, someone sent out a fake tweet saying that he had passed away. "Today we lost one of the most important and relevant people in our world. Rest in peace Nelson Mandela". 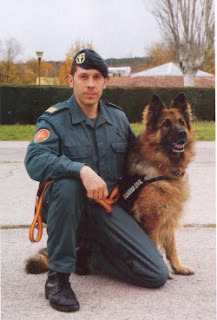 The People's Dispensary for Sick Animals (PDSA) in the UK has awarded a prestigious international prize to a German Shepherd dog named Ajax, who works with the Spanish Guardia Civil bomb squad. Ajax will receive the award for detecting bombs placed by the Basque terrorist group ETA on the Spanish island of Mallorca in July 2009. 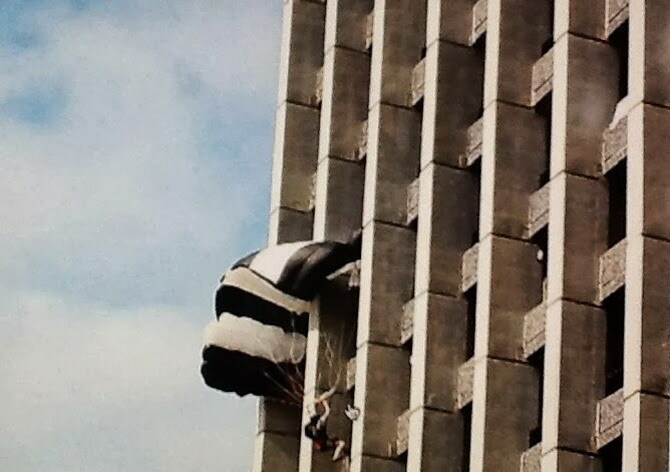 Austrian Maria Steinmayr, one of 17 competitors taking part in Benidorm's annual World Championship BASE jumping competition, was lucky to survive after crashing into the building on her way down. 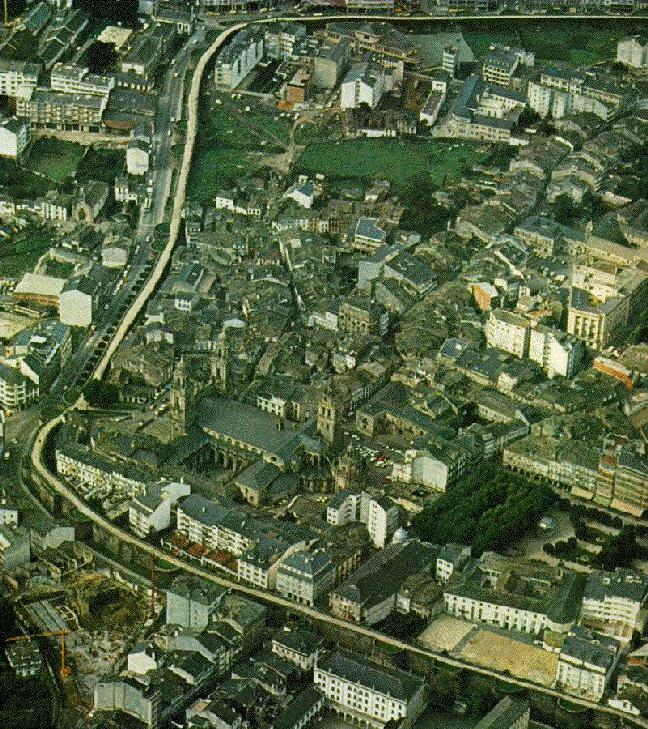 A pilot working for Spanish airline Iberia asked his passengers for permission to change his flight plan, so he could take them on a tour of the historic Galician city of Lugo from the air. He accompanied the tour with song. Turns out Spanish politicians have had access to discounted booze at the café and restaurant in the Spanish Parliament in Madrid. Public outrage has prompted a committee to put a stop to the benefit. 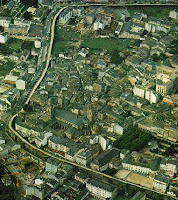 Brunete is a small town of only 10,100 inhabitants, situated on the outskirts of Madrid, Spain. It may be a small town, but it had a big dog poo problem. The town hall came up with some novel solutions, including mailing the "deposit" back to the owner. Spain - a fascinating and beautiful country with so much to see and explore - history, modern cities, wonderful beaches... the list never ends. I have lived in Southern Africa for most of my life (Malawi, Zimbabwe and South Africa). Got involved in the tourism industry in Cape Town, South Africa and moved to Spain and now living on the Costa del Sol. Recently became a Digital Journalist and enjoying keeping up with the news.